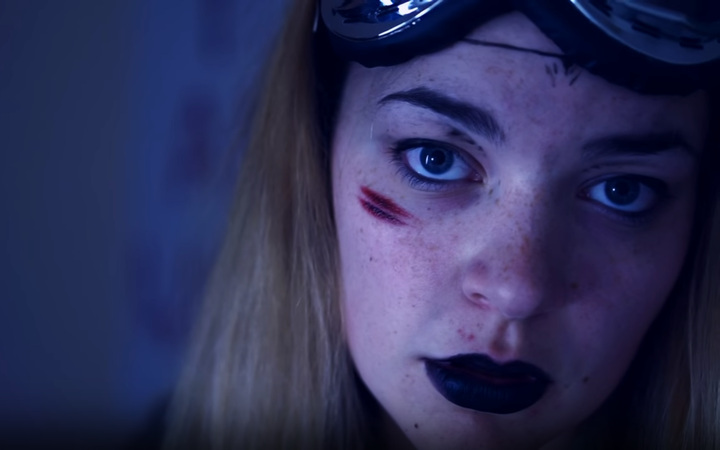 Pandora ASMR is a creative tour de force in ASMR with her playful roleplays and deep intuition. Relatively new and young compared to my old favourites, Pandora ASMR is one to watch for the years ahead. ASMR is something I’ve written about in the past and something I promised myself to write about again in the future, especially as a way of introducing great artists such as Ephemeral Rift and Heather Feather to a new audience. I knew I wanted to write a similar piece for Pandora ASMR after just a few videos. So if I were to describe Pandora’s style, given other artists I know about and follow, then really it’s Ephemeral Rift’s dystopian and paranormal roleplays that come to mind. 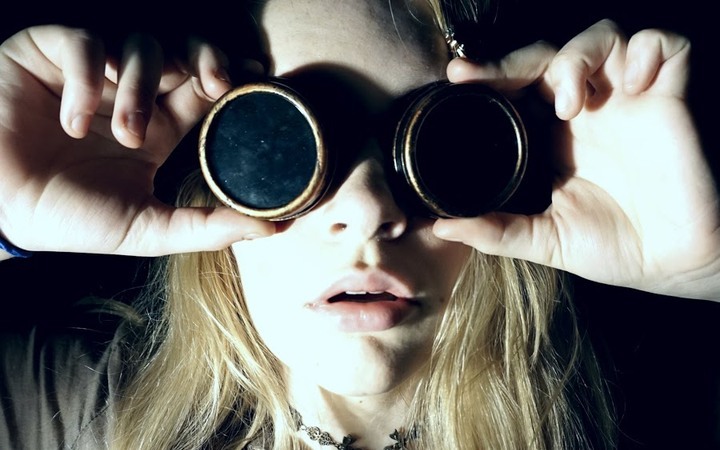 Pandora ASMR should be known for her steampunk and dieselpunk vibes, her fantasy character roleplays, as well as some down to earth casual ASMR videos that you can just chill out to. Pandora ASMR is a UK artist, like other popular artists I know and follow such as WhispersRed. She has a very pleasant British accent that I can’t place any more precisely than “somewhere in England that isn’t famous for it’s accent”. I know, that isn’t very helpful. Or is it! A neutral English accent is probably a good thing for an ASMR artist now that I think about it. Mmm, that voice. What do you think makes a great ASMR voice? Perhaps it is the accent: a hint of Icelandic or French that sets the tingles going. Something new and exciting, a little dangerous perhaps? Yes, perhaps sometimes. To me an English accent is safe and familiar, while for somebody else it could be that gentle, exotic lilt they didn’t know they were missing. I have a number of Pandora’s videos I’m going to share with you today, both normal and from her various roleplaying series. The first one I’m sharing is one of the earliest I listened to, called “ASMR Stipple Stipple!“, and as you may gather from the title it’s very much inspired by Heather Feather’s own stipple videos. For those new to the magic of “stipple!”, it’s a curious, nonsense word that tends to evoke tingles. It’s the kind of word that reminds me of Alice in Wonderland, because Lewis Carroll was famous for giving Alice nonsense words and phrases to say that were quite adorable and often oddly relatable at the time. “Curiouser and curiouser!” cried Alice. Yes indeed. I was amazed that I got through this video without a fan. Why does nowhere in England have air conditioning? I really should stop complaining at every slight meteorological shift that my country has. I think I’m just going to camp in my room under the ceiling fan all week to wait out the heat wave. Anyway, I hope that you enjoy this very simple face brushing video. Hungry for more? Okay. With our little opening taster over, let’s dive into Pandora’s roleplaying series. I’m going to pick out my highlights for you from the Goddess series and the Steampunk series. These series are very different from each other as you can imagine, and they cater for you in different moods. Which series to start with? I’ll offer you up one from each and suggest you click on the one that suits your mood the best. Maybe you want to bunker down with a fellow survivor in a steampunk dystopia, or maybe you want to escape into the cosmos with the goddess Nyx. It’s like choosing an ice cream flavour. Choices choices. The world has advanced beyond the steampunk age and has now arrived at dieselpunk, a police state where everyone is controlled by the chips that have been inserted into their brains from birth. The food they eat, the water they drink and even the air that people breathe is controlled by one ruling overlord. The world is a cold concrete shell of what it once was but no one sees it this way. The chip creates a vision of paradise and serenity as they go through their daily life, completely oblivious of the cold reality that’s right in front of them. I don’t know whether you can tell, but I’ve been reading a lot of George Orwell and Sam Bourne. I’ve also been listening to Once in a lifetime by Talking heads a lot… Who doesn’t love a bit of existentialism? Anyway, nothing is real, the government is reptiles and Beyonce is a robot haha. Hope you don’t mind this rather peculiar role play. Next, “Hypnotised by the Goddess of Night” is an audience with Nyx, Goddess of Night. I mostly just like the echoing voice, quite frankly. I found this video soothing and soporific, so if you want something to send you to slumberland this might be a good one. Admittedly, I had never heard of this goddess prior to the comment (a fan suggestion), however I am not alone as Nyx herself is a bit of a mystery. She is seen at the start of creation, a being so powerful and old that she would terrify even Zeus. According to Hesiod’s Theogony she mothered Sleep, Death, Darkness, Brightness Deceit and believe me, the list goes on. However, despite her power she had a limited following in Greece and is found in very few remaining statues and artistic depictions. Due to the sparsity of information I chose to let my mind wander a little so I hope that you don’t mind a little bit of creative freedom. So I filmed this just before bed (hence to red eyes and face haha) and I thought that it’d be more realistic to film this when I’m actually almost falling asleep. I got inspired by the Power of Sound who has a few face drawing videos. His voice is incredible and his personal attention videos are even better, would seriously recommend him! Anyway, I hope that you’re all doing well and that my sleepiness may transfer onto you too! And with that, I guess I am done. Hope you enjoyed this introduction, please feel free to comment and share if you like. I have a few ASMR-ish followups planned, so with any luck I shall see you next time.